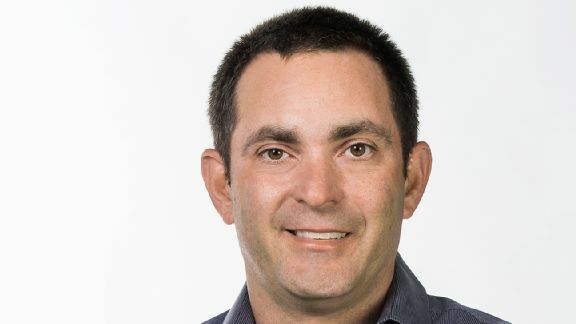 Rodrigo Varela/ESPN Images Have you ever seen Stugotz at Hooters? #6) Butler: Andy Reid - Looks like he waggles his fingers in front of a tray of doughnuts and says, "Don't mind if I do"
#16) Hampton: Chip Kelly - Looks like the guy who leaves comically low tips to service people, then shoots the finger gun and says, "Don't spend it all in one place"
#9) Oklahoma State: Mike Woodson - Looks like he constantly tells his family, "I'm not sleeping, I'm just resting my eyes"
#10) Ohio State: Ed Orgeron - Looks like a BBQ pitmaster who is constantly wiping sweat from his face while explaining his secret BBQ recipe is, "cajun love, brother"
#7) Michigan State: Mike Golic - Looks like a construction worker in a sewage drain yelling, "I need more light down here!" #12) Wyoming: Mike Leach - Loudly enters a room and says, "Working hard or hardly working?" #14) Albany: Randy Johnson - Looks like he runs a bar in a small town and when you order a beer, he mutters to himself, "You're not from around here, are you?" #10) Davidson: Stugotz - Looks like the guy at Hooters who elbows you and says, "That's what I'm talking about"
#15) North Dakota State: Jim Caldwell - Looks like a mechanic who comes out with a rag, wipes his brow and says, "It's gonna be a while"